Out of the nine contenders, this is the car that came out as the best driver's car of the year. For the past few years, the Motor Trend staff have gathered for a week of testing to determine what they believe to be the best driver&apos;s car of the year. This could very well be one of the best jobs in the world. The competition isn&apos;t about straight-line performance or even the outright fastest car of the bunch. This test goes beyond numbers and determines which new sports car best embodies the spirit of driving. A total of nine great cars took part in this year&apos;s competition, amongst them was the Lamborghini Aventador, Jaguar XKR-S, Ford Shelby GT-500 and the Subaru BRZ. In the end, however, there can be only one left. 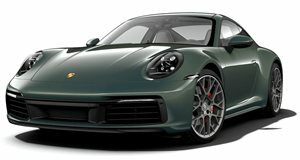 As you can see by the photos, the winner of Motor Trend&apos;s 2012 Best Driver&apos;s Car contest is the Porsche 911 Carrera S.
Powered by a 3.8-liter flat six and mated to a dual-clutch transmission, the Carrera S has won "the highest honor Motor Trend gives to a performance vehicle, which is the main reason it is so coveted across the industry", said Ed Loh, Editor-in-Chief. We&apos;re not entirely surprised but considering the competition the 911 was up against, it speaks volumes as to just how incredible Porsche&apos;s engineering people truly are. Be sure to check out the video showing pro driver Randy Pobst&apos;s 911 hot lap around the Mazda Raceway Laguna Seca and you can read the complete feature in the upcoming issue of Motor Trend.